It is the beginning of fall, the buses are running and the parks are empty of children. All have returned to the scheduling and bells of the school year. I do not anticipate the return of school or routine. I can’t wait for the cool autumn days to walk , take photographs and enjoy the outdoors in temperatures warm by day and cool by night. Remember the first morning you can smell the woodsmoke on the morning air and the crunchy grass when it is white with the first frost. All these memories would make many shudder with cold just to think about them, but I love the cool weather and most of winter don’t mind the cold. There is nothing quite as special as natures last hurrah of the year as she paints her maples and sends the leaves floating by. 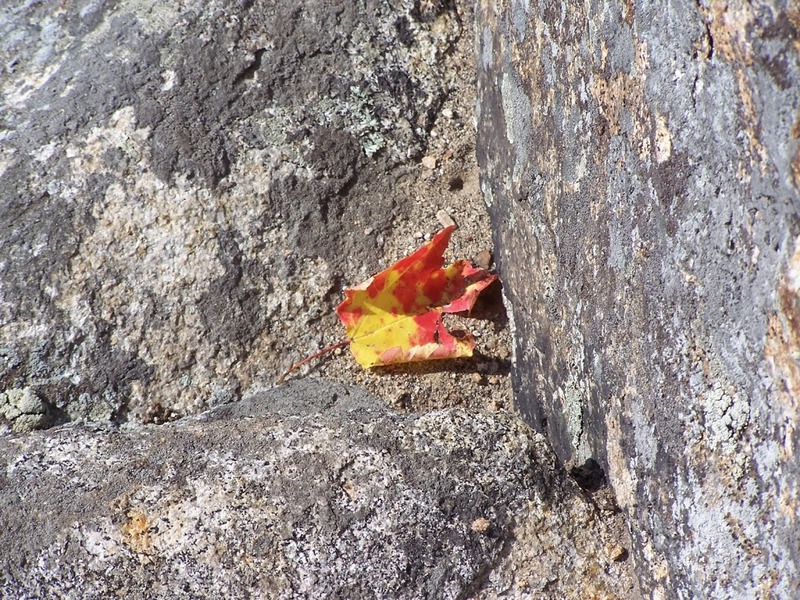 A lone leaf is waiting on the granite rock and reminds me of all the years we made place mats for the tables with wax paper and an iron and a few choice leaves such as this one. One fall day I met up with the local third grade. It was their annual field trip around town as part of the know you town and state curriculum. The youth were all excited and I heard them coming long before I could see them winding through the woods on a trail . I was waiting, at the top of Wolf Rock in Mansfield. 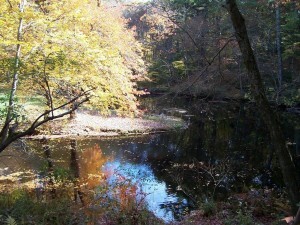 The preserve is in a land trust called Joshua’s Trust. www.joshuaslandtrust.org Joshua was the Native American son of the Chief Uncas. He deeded land to the settlers when they arrived. 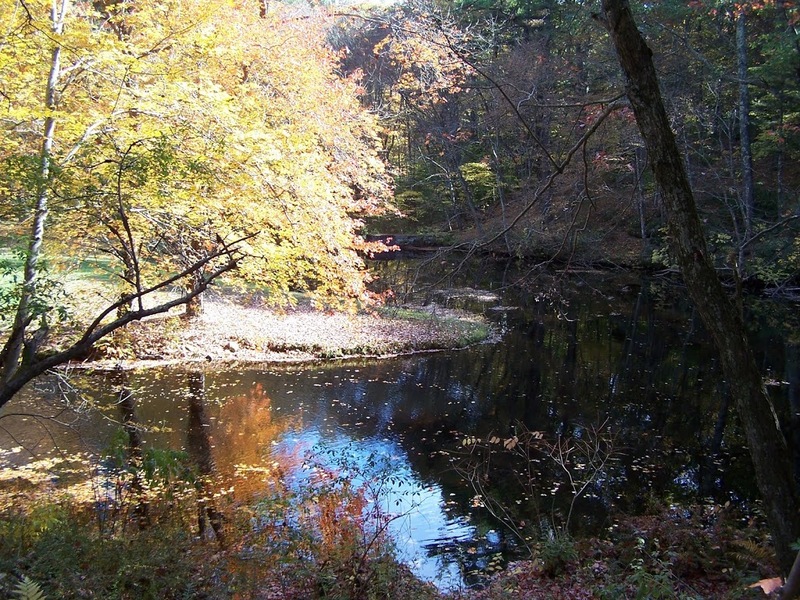 It is the goal of the land trust to preserve beautiful and distinctive pieces of that original land grant area. The holdings of Joshua’s Trust have reached the 4000 acre level! Here at the edge of the cliff is a glacial erratic, a huge stone dropped by a glacier long ago. On this Wolf Rock day I used a piece of campfire charred wood to scratch the mark of Joshua son of the sachem Uncas onto the stone. 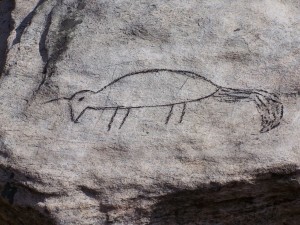 Before they left I had a chorus of all the children’s voices howl the Wolf call from the top of Wolf Rock. The Wolf voice has been gone from these hills since the colonists erradicated them, I imagine the deer in the deep valley below shuddered at the howl of a wolf in children’s clothing.